In election 2012, what does ‘winning’ mean for the Left? Every four years, the election season finds many on the Left agonizing over whether to make a pragmatic choice and vote for the better of the two major candidates or to vote for the person that most closely matches their political principles—regardless of that campaign's relevancy. This year, as a result of Occupy's anti-electoral politics, the landscape looks a little different. 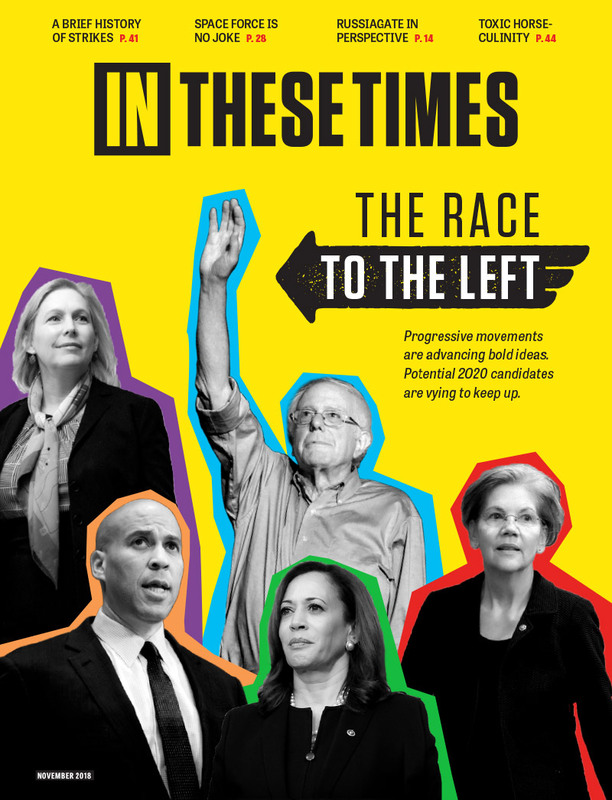 In These Times convened three progressive voices to debate how the Left should be organizing this election cycle: New York-based labor writer Mike Hirsch, activist Bill Fletcher Jr. and Green Party presidential candidate Jill Stein. Their answers were starkly different, but on one point they were in agreement: Beyond election cycle tactics, progressives need a broader, long-term political strategy. There's been concern about co-optation of Occupy by the Obama campaign. What impact do you think the election season will have on emerging social movements? Bill: This has always been a red herring—I don't think that there's ever been a danger of co-option. I think that it's used as a way of advancing an anti-electoral line and putting people in a box by counter-posing electoral politics to mass action. Mike: The problem with Occupy is its core politics—it believes that demands on the state validate the state. On one level, that's nuts to me. But on another level, it allows them to have the kind of pluralism and tolerance that a more political movement wouldn't have. This isn't a movement that's electoral; it doesn't think in terms of what policy-wise the state can or can't be made to do. I think, if only for that reason alone, there's no way the Democratic Party could “co-opt” them. What prevents the Democratic Party from being an anti-corporate force? Is it the weakness of social movements in this country, or something more structural? Bill: The Democrats and the Republicans are fundamentally corporate parties—everyone knows that. The Republicans have now become much more consolidated as a hard-right coalition, whereas Democrats are not as consolidated at the broad level but have embraced neoliberalism at the top. Part of the problem is that within the Democratic Party constituency, there is a very poorly organized progressive bloc. I'm not just talking about the Congressional Progressive Caucus. The broad progressive forces that will tend to vote Democratic do not have a very clear vision, organization and strategy. So we've repeatedly been in a trap of every four years, people as individuals—sometimes as organizations—tart an electoral campaign, get people engaged in it, and at the end of the campaign, nothing changes. Without any discussion about strategy, where are we going in the next five to 10 years? Would we have seen Occupy under a Republican administration? Does a Democrat versus a Republican in power make a difference for movements? Jill: Because Barack Obama has adopted so many of the positions of George W. Bush and in fact gone beyond him, it's hard to discern the impact of one party over the other. Young people, who are always the engine of real change and the engine of social movements, have really been left behind by all parties in the political establishment. They have a very bleak future right now and they are hungry for a vehicle that is really principled and has a broad and comprehensive strategy, vision, agenda and game plan. Bill: I've been hearing that for years. In 1968, I heard that. What we should be doing is politics—politics with a small P. How do we build power for the masses of people who are oppressed? That answer necessitates strategy. It's not just a reflection of people's outrage and disgust with the political establishment. It involves an analysis of the way the electoral system works. And what that means in terms of how we organize. That is why you cannot answer in the abstract as to whether we're better off under Republicans or Democrats. That brings to mind Michael Harrington's “vulture theory of socialism.” He didn't buy the idea that the worse it gets, the better for the Left. Bill: In 1932 after Hitler took power, there was an expectation that Hitler was going to so completely discredit himself that the masses would rebel against Nazism and turn to Communism. Things didn't quite work out that way. And I think there's an element among progressives that believe that the worse things get, the better our position is. How would the GreenParty—if it achieved a level of national success—tide off the same influences that impact the Democratic Party? Jill: The Greens don't accept corporate contributions to campaigns. We do not accept money from lobbyists. What we've seen from the Democratic Party is pretty consistent folding to the money that sponsors them. The Greens are insulated from those pressures because we don't accept the money and we have nothing but the power of a people's movement and of volunteers and of people who are impassioned by the issues. Mike: But it happened in Germany with their Green Party. It's not sufficient to say we won't take the money, because at a certain point, you will need the money. And then the question will be: Do you have another basis for support? So how does the Green Party plan to bring labor, people of color and other key constituencies of the Left to the Green Party? Jill: For the moment, we're full speed ahead, ensuring we're on the ballot in somewhere between 42 and 48 states, and also we're engaged in the primary campaign. So our focus right now of necessity is sort of on our own infrastructure, to make sure we're a visible part of the discussion. Truth be told, that is the whole reason for running this national race. What's ultimately at stake in this election, both in terms of its impact on policy outcomes and on social movements? Mike: The way Obama has run his administration has been deadly to our class—deadly—and the Left's got to say that. Will we be in any better position in 2012 after the election than in 2008? The question isn't just how we vote; it's how we organize. Bill: In this election people can not sit back and say,” a plague on both your houses.” There's a lot at stake in terms of what a Republican victory will symbolically represent. I want to know how people will respond to the racialization of this presidential election. At the same time, the main way that progressives can offer a challenge to Obama is whether we're able to run people at the state and congressional level who really are progressives. But we're also ignoring various reforms that were instituted under Obama. Who's going to make the appointments on the Supreme Court? The thing here that we know is these guys are leaders of an empire, we're not picking someone who really is out of our movement, not even someone like Bernie Sanders. But to me, the question is: In which situation do we have some maneuvering power. In that sense, it's not like I'm boosting Obama. I'm not suggesting this guy is the greatest thing since sliced bread. His record on civil liberties, on Afghanistan isn't good. But this race is what I call the choice between Emperor Augustus and Emperor Caligula. Mike: Will we be in any better position in 2012 after the election to do that than in 2008? My argument in 2008 was that under Obama, the movements would grow. That didn't happen. Bill: It didn't happen because of us! Mike: Oh, I know that. Absolutely. We weren't strong enough. Bill: Not just not strong enough, but we also shied away from real discussions about electoral strategies and their implications. Up until recently people were taking a pass. Augustus? Caligula? or no emperor at all? Sick of hearing duelling bank accounts? stop listening! Jill, I enjoyed the Green party convention, and I wish you the best, but I'm supporting Gary Johnson. However, your Presidency would be far more tolerable rather than Obama or Romney's. 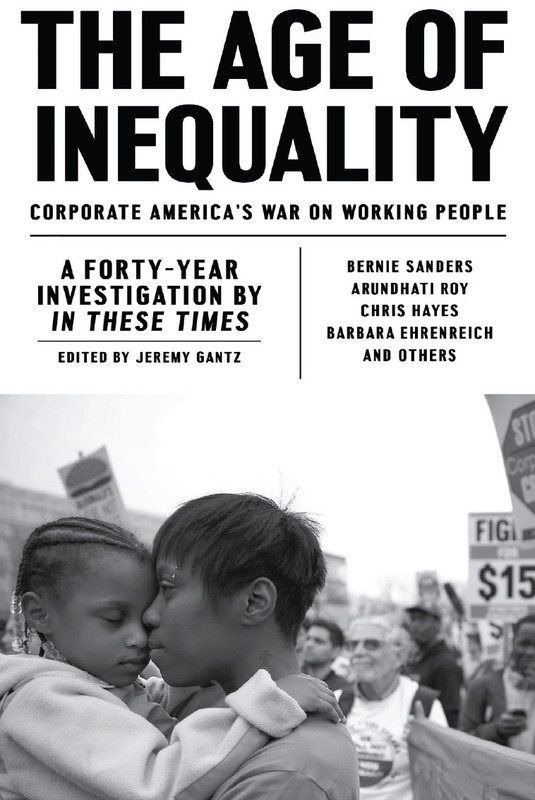 By now, the "99%" has been redefined, largely via media, as "middle class workers." I don't know what percentage of the population is that fortunate today. Beyond trickle-down economics, there has been an utter failure to address US poverty. The movement has called for job creation; how should the very poor survive until those jobs appear? We've been calling for job creation for 30+ years now, and jobs seem to get shipped out faster than they're created. Because the discussion has remained confined to middle class concerns, most of the millions of post-middle class Americans (and those who never had a chance out of poverty) have said, "To hell with it." I think one factor about the upcoming election continues to be ignored. For the last election, the poor voted in droves for President Obama, not knowing if conditions would improve, but hopeful that he would launch a legitimate public discussion about US poverty -- an issue on which our media has grievously failed. Well, that didn't happen. The focus is exclusively on the middle class, and the agenda remains one of trickle down economics. If you have a steady job AND are still in the middle class, what are you complaining about? Without question, the president has done an outstanding job creating jobs, and we're all grateful for that. Of course, this is happening while corporations continue to use their years of massive tax cuts to ship our jobs out. I read that since the 1980s, we've lost around 6 million jobs. At the same time, Clinton ended basic poverty relief for our desperately poor. And President Obama talks only about protecting the middle class. Basics: How can you even try to get a job when you have no ho me address, no phone, no bath/clean clothes, no bus fare? You can't buy a loaf of bread with promises of eventual job creation. So, why vote for any politicians who won't represent you? Maybe President Obama will do fine getting re-elected by the middle class alone. Guess we'll see. Having been personally involved in the initiation of an Occupy movement in Southern California, I am deeply grateful for what they have done to change the conversation in America. They introduced the language of the 99% and called attention to the wealth/influence disparity that exists in our country, which in turn shed light on all the various ways the duopoly has been working behind our backs for their own self interest all the while damaging average Americans and trampling our Constitution. My conscience which has been trained with truth, honesty and equality for all cannot vote for either candidate of the major two parties. I was elated to find Rocky Anderson. I researched him before deciding to take him on as my presidential candidate of choice. I found a man of courage who has been championing human and equal rights his whole adult life. He has won many legal cases for those who had been abused by the system. As two term mayor of Salt Lake City, he fulfilled his campaign promises. He founded High Road for Human Rights to further a better world for others. His track record is stellar. While I agree with his platform, I am happy to see a movement growing under his leadership. A party that is calling for Justice on all fronts. The thread of our founding fathers runs through Rocky Anderson. I hope others will take time to learn more about him and perhaps cast their vote for him in November. After a lifetime in the Democratic Party, and a few years in the Green Party, I'm supporting Rocky Anderson and the formation of the Justice Party. When it comes right down to brass tacks, I'm in search of some simple justice for all Americans, no matter their color, gender, or economic position. Although I find myself in general agreement with the Green Party platform, it's not the party for me. Greens are split between themselves, which makes me wonder how the Party expects to attract support from former Dems and independents. The mainstream media continues to characterize the Greens as a fringe element, and many voters (mistakenly) blame the Greens for the Bush/Gore fiasco. My experience with the Party revealed a conservative mindset--only puritans allowed. Any disagreement with a position was met without outright scorn. The Justice Party is all about fixing our broken system so that government can work for us, as it should be. We will never get the policies we want and need as long as we are mired in a two-party system controlled by corporate America. Voters must wake up and realize that nothing will change as long as we keep voting for one of the two major parties. @Mike Hirsch, Green Party and money. As Bill Hillsman, who did advertising for Jesse Ventura, Paul Wellstone, Ralph Nader, points out in his book "Run The Other Way" a well run campaign can win with 1/6 the money of an opponent (or even less). The Ventura (Ind.) and Wellstone (Dem) both exemplify that. He points out that much of the campaign spending by well funded candidates is to feed the coffers of consultants, their "patronaged" staff and the media conglomerates (who are certainly financially motivated lobbyists). The Green Party exemplifies both frugality and fiscal responsibility in campaign spending although certainly by necessity but, by refusing corporate donations, also by choice. Additionally success and even high visibility increases grassroots funding as many good fundraisers now. Yes, the Green Party needs money but the amounts are nowhere near what the corporate candidates chose to feed the consultancy patronage mill. Jill Stein, BTW has raised enough money to submit for Presidential Primary Campaign matching funds from the FEC. This is an extremely rare accomplishment for an alternative party or independent candidate. This helps builds donor confidence. The next national funding hurdle, while a long shot, defines a win. That's achieving 5% of the popular vote and getting minor party FEC funding. People often ask, "are you just running to raise issues since you can't win." That 5% is all that's needed for the next major party funding victory. It's a key reason why people should consider voting for Stein because, if progressives voted their believes they'd be rewarded with a national party at that threshold. To answer the author's comments. That is relevancy. It's practical, not simply idealistic. With the visibility that comes with reaching funding goals and gaining ballot access state by state, comes a major boost to local campaigns which may become winnable.